Welcome to WatercraftWatch, your source for information on all manner of boating products. Whether you take to the water in a canoe, sailboat, or speedboat – we have you covered. WatercraftWatch offers general information on how different types of boats operate, so you can get an idea which one is best for you. And we provide detailed equipment reviews and comparisons, so that when you are looking to outfit your boat you can make an informed decision. There are variety of boats that you paddle. Most are primarily designed for use in calmer waters – such as a pond or lake. But there are a few types of paddle boats designed for whitewater or even ocean surf. 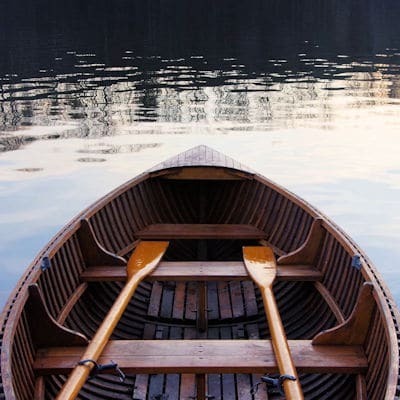 Most people can comfortably paddle a boat in calmer waters, but if it gets rough you usually need multiple people paddling to successfully move and steer your boat. The exception to that is the kayak, which is designed for a single operator in either calm or rapids. Check out our review of the best inflatable fishing kayaks for some examples. Certain kinds of paddle boats may be fitted with oars, so that a single rower can use two paddles at once. Others, like a canoe, can be run with a single paddle. Either type is great for taking a relaxing ride or a quiet fishing excursion. And all will provide maximum fun for both you and your family. Of course, many types of paddle boats – like canoes or inflatable pontoon boats – can also be fitted with small outboard motors to make positioning easier. Others, like the best inflatable stand up paddle boards – are strictly manual watercraft. One of the best parts of boating for many folks is the calm they experience when quietly navigating the water. But that is tough to do if a noisy gas engine is powering your boat. If rowing or paddling is not your thing, letting the wind power your vessel might be the perfect way to enjoy the water without excessive physical effort or noise. That is why more and more people are falling in love with sailing. There are a number of different varieties of sailboats, and each has its distinctive features and advantages. The number of masts and types of rigging are what separate various sloops, cutters, ketches, and yawls. And hull design and keel configuration also are differentiating factors. But they all have one thing in common – use of a sail to catch the wind. Whether you are hitting the water in a single masted sloop or cutting the waves in a catamaran, we’ve got you covered. 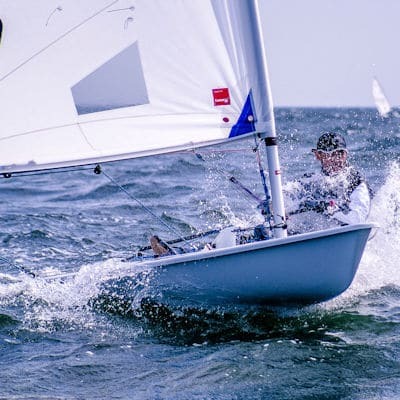 We talk about the latest sailing gear and gizmos to give you the best time on the water. Sometimes you feel the need for speed, and that includes time out on the water. 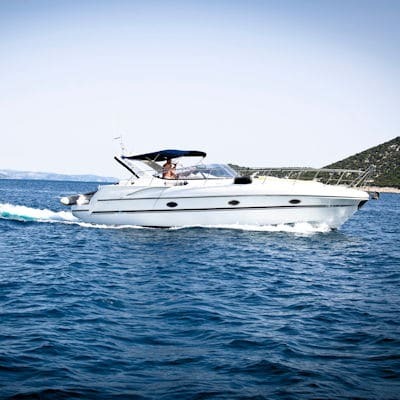 Whether you enjoy putting around with a party on a pontoon boat, skimming the sea in a cigarette boat, or whipping water skiers (or people on towable tubes) across the waves – a motorboat is for you. The world of boat motors is diverse, with gasoline and diesel options, inboard and outboard motors, and even electric trolling motors, batteries (see our review of the best trolling motor batteries for kayaks), or trolling plates for getting your bass boat into just the right location to land a lunker. That means a lot of supporting equipment needs to be functioning to ensure your boat will get up and go when you give it the gas. And not all equipment is solely for function. Vanity items like underwater boat lights can give your favorite boat some added style. We love motorboats, and spend a lot of time looking at the gear that makes them go. Throttles, props, marine battery chargers, fuel pumps – everything you need to keep your speedboat seaworthy. While the photo on the left might not properly portray it, personal watercraft are a lot of fun. Skimming the waves on a Sea Doo or jumping wakes on a Jet Ski is a blast, and one of the most popular ways for the younger generation to enjoy boating. But personal watercraft have come a long way since they were first introduced, and there are a variety of manufacturers and styles available to the consumer. Some are stand-up only vehicles, while others allow you to sit while riding. And even though they are called “personal”, many manufacturers make models that will carry more than one occupant. 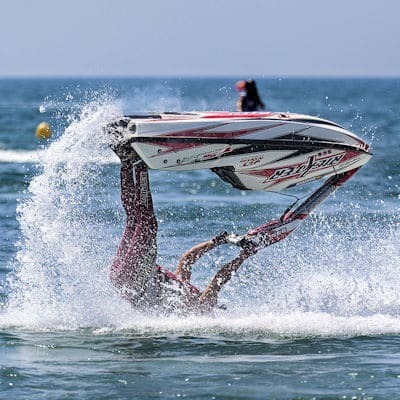 Don’t be fooled into thinking that personal watercraft are just one-trick toys. This genre of boat has become much more versatile, with different models designed with cruising and touring waterways in mind, others built for towing water sports, and others created for high-performance tricks and maneuvers. But all these types of personal watercraft have one thing in common – fun.